Read this post to know 3 methods to access your iTunes library from iPhone/iPad/iPod so that you can enjoy your music everywhere. 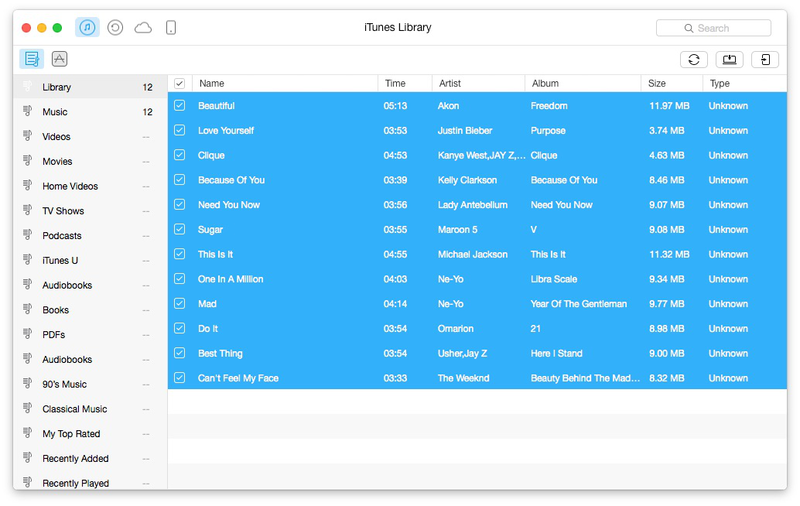 Easily access iTunes library and transfer iTunes library to iPhone/iPad/iPod without erasing, supports songs, playlists, videos, ringtones, CD song etc. Computer, no matter Macbook or Windows PC, could be some nice device to store lots of good media files that you downloaded from iTunes. However, this big stuff, especially the desktop one, is not easy to be moved and get songs played everywhere. So some music lovers try to access computer iTunes library from iPhone, iPad, iPod so that they can enjoy songs/videos more conveniently. In this post, we offer you 3 methods to easily access iTunes library from iPhone/iPad/iPod, no matter new released iPhone 6s or old iPhone 4s. Now, let’s check how these methods work. Home Sharing is one good feature of iTunes. It is free and you can use it to share iTunes library to another computer, or stream songs to iPhone, iPad or iPod touch on the same network. However, notice that before you try this method, you have to use the same Apple ID on your iOS device, and it doesn't support some models of iPod, such as classic, Nano and Shuffle. If you want to access iTunes library remotely out of home network, obviously the Home Sharing is not suitable. In this situation, you can use iTunes Match. After paying $24.99/year for this iCloud service, you can backup iTunes library to iCloud server and access iTunes library from any iPhone, iPad or iPod touch anytime, anywhere. Although iTunes Match and Home Sharing make some difference on sharing iTunes library, they require network connected. If you want the music streaming be stable, you can choose to directly transfer songs/playlists from iTunes to iPhone/iPad by using AnyTrans. In this way, you can never be worried about music-play freezing because of bad network connection. In addition, AnyTrans allows you easily transfer specific items to Apple mobile devices, which is useful if you don’t want sync the whole iTunes library. Different from Home Sharing, it supports almost all models of iPod/iPad/iPhone, such as iPod classic. And it provides you free trial download. You may get some good idea about accessing iTunes library from iPhone or other iOS devices. If you do have, please share it on the comment box below to help others.